NEW carpet to be installed prior to closing. 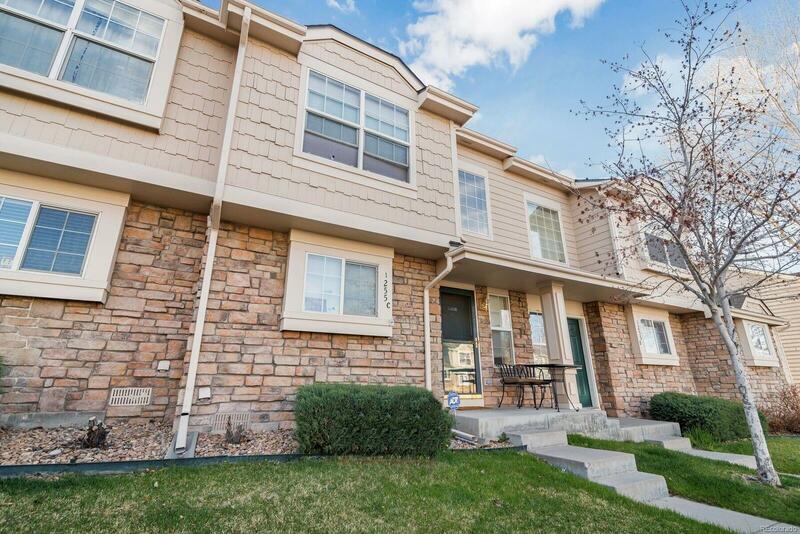 Beautiful town home has been very well maintained. Cozy living room with hardwood floors and gas fireplace. Kitchen features stainless steel appliances, gas stove and a large pantry. Kitchen opens to living room and dining area - perfect for entertaining. Spacious master bedroom with private bath and walk in closet. Large second bedroom upstairs and another full bathroom. Plenty of storage with a crawl space below the main floor, accessed through the coat closet. Fenced area with deck. Central Air-Conditioning, 1-Reserved parking space and 1 visitor parking space both directly in front of the unit. Amenities include a clubhouse, community pool, tennis and fitness room. Conveniently located close to public transportation and shopping. Move In Ready! Make this your new home!